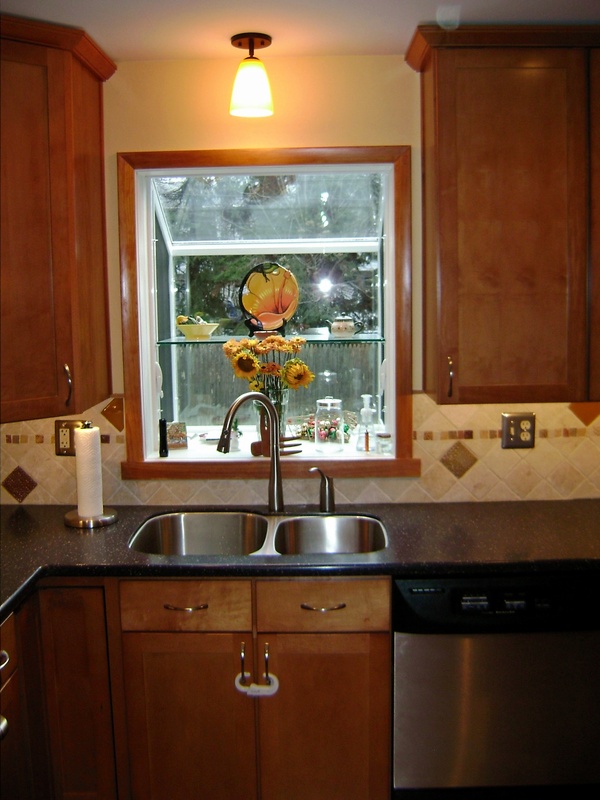 This Garden window was the hinge point of this kitchen design. It is much smaller than the old unit and allowed for more cabinets flanking it. Re-working the siding on the outside does not concern us.